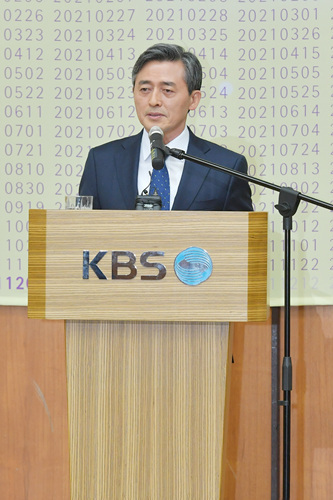 Yang Sung-dong begins his second term as President and CEO of KBS on December 10, 2018. KBS President and CEO Yang Sung-dong opens PBI Seoul 2018 on October 24, 2018. Mr. Yang stresses that he will make efforts to reinvent KBS as a trusted PSM at the inauguration ceremony. 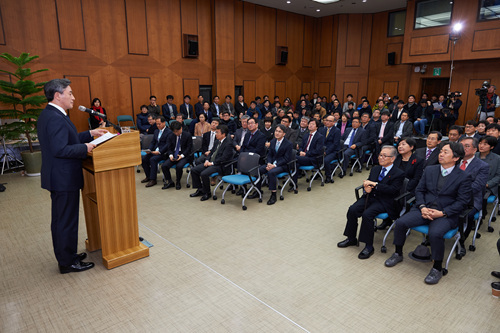 Mr. Yang Sung-dong officially began his second term as the 24th President and CEO of the Korean Broadcasting System on December 10, 2018. President Moon Jae-in of the Republic of Korea approved the reappointment of Mr. Yang to run the nation’s primary public service media organization for a further term of three years. As part of the selection process of the chief of KBS, Mr. Yang was recommended by an Ad Hoc Public Advisory Group. Consisting of 177 members of the general public, the advisory group closely reviewed his expertise and understanding on various aspects of public service media. His vision and strategies for KBS were also examined through a presentation and question and answer session by the group. Mr. Yang announced his initiative to recreate KBS as the most trusted and competitive media brand in the country when he first took office in April 2018. In his continued efforts to reshape KBS, he has demonstrated his commitment to preserving editorial independence. He has also been recognized for his contribution to bringing capable young staff members to get involved in the decision-making process of the organization. 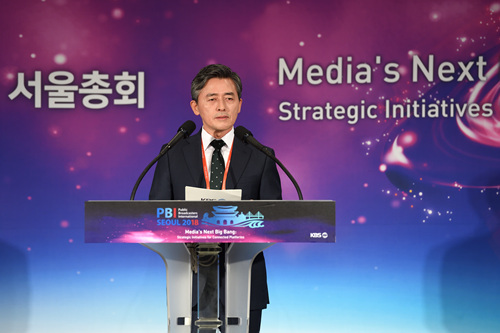 In October 2018, KBS hosted Public Broadcasters International Seoul 2018, an exclusive annual forum for leaders of the public service media community, with great success under his stewardship. Mr. Yang has an extensive background in documentary production and investigative journalism since he joined KBS as a television producer in 1989. He directed and produced numerous quality factual programming for KBS including KBS Special, In-depth 60 Minutes, The Insight, and World Today. From 2007 to 2008, Mr. Yang led the Korean Producers and Directors’ Association as the 21st President of the association. In 2006, he served as President of the KBS Producers and Directors’ Association. Between 2013 and 2015, he worked as Executive Director Programming and Production of KBS Busan. Born in 1961, Mr. Yang studied political science at Korea University.